Please help me identifying this vase. 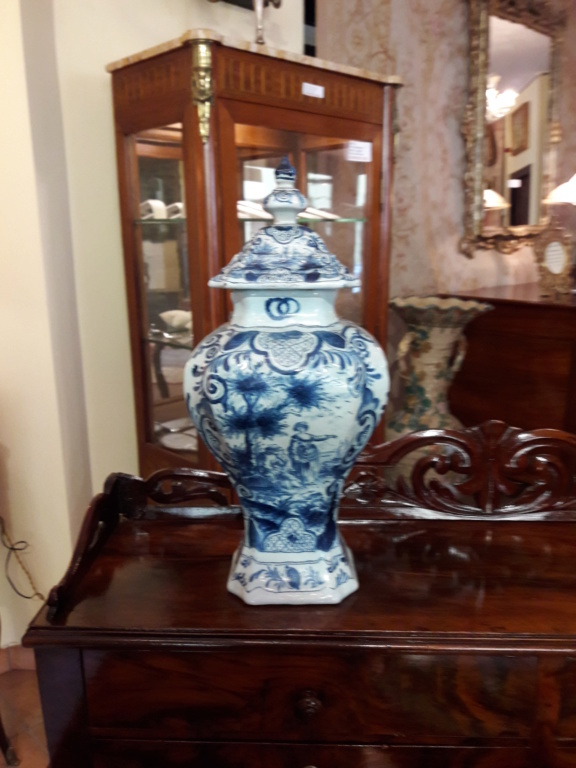 My guess is that it could be Delft porcelain. My first thought was Delft, tin-glazed earthenware. 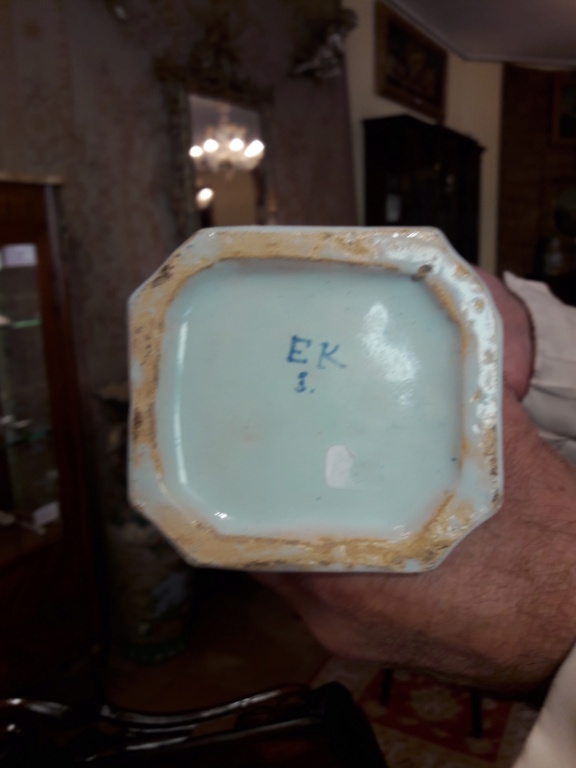 You are right: it is earthenware, not porcelain. Then, I have a feeling I have seen Gouda with that greeny blue tint. Its got the feel of a lot of early 20th century Italian blue and white. But is very typical of lots of early to mid century blue and white from the lowlands up to Italy.